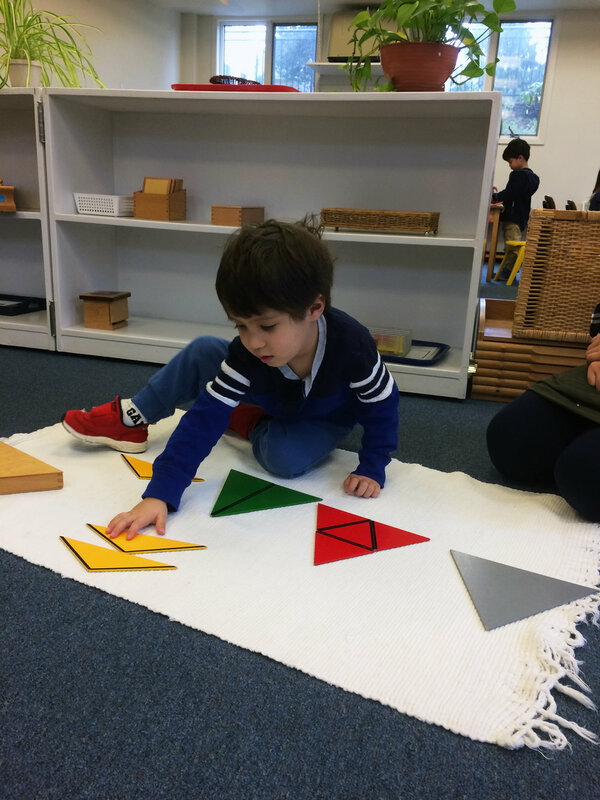 Maria Montessori believed that children take in information through their senses. Through the use of hands-on learning materials, a child is able to refine his/her sense perception, solve problems, and make associations between concepts they learn in the classroom, and apply them to their environment and the outside world. The purpose of the Sensorial materials is to refine a child’s sense perception by isolating each sense.The materials are designed to isolate the sense in order for a child to perceive the single quality within the work. The three main aims of the Sensorial materials are to stimulate cognitive development, to develop discrimination of specific qualities, and to develop an ability to make judgments and comparisons.